The 13th century Chapter House of Westminster Abbey required extensive restoration. Sections of stone detail that had once served as figurative water stops had weathered to the point that it was impossible to discern what was once there. This led to the commissioning of new portraits modelled on contemporary patrons of the Abbey. 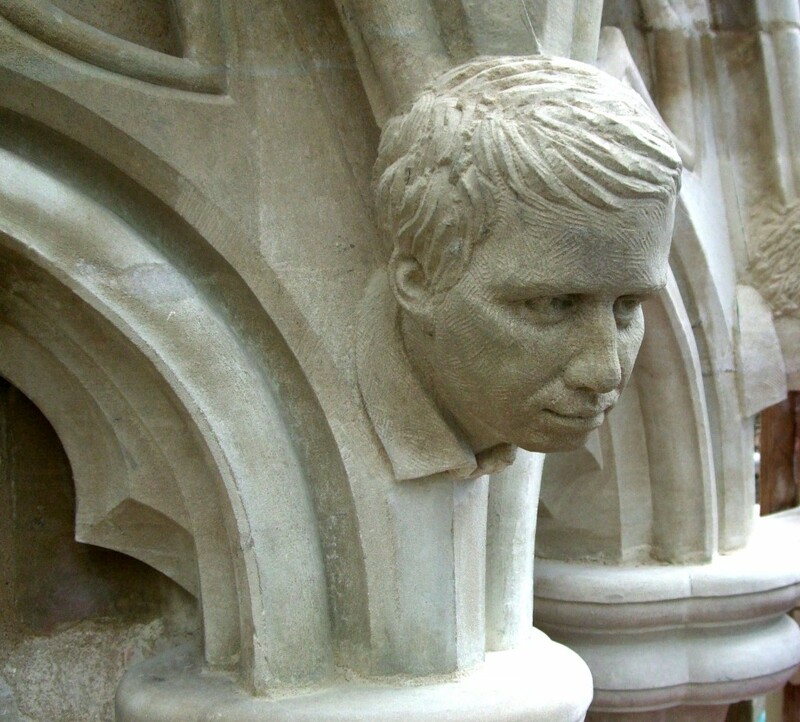 Drawing on the spirit of medieval sculptural practice, new work that was sympathetic to the 13th century building was created. St. George’s Church, Hardwicke Place, Dublin saw the construction of a ‘building within a building’ — a removable shell that floats within the church space. This approach to its restoration made the building viable without compromising its historical integrity. 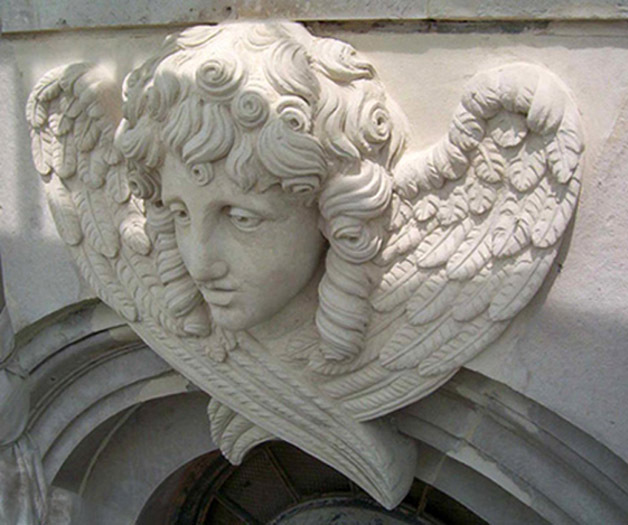 My role in the restoration centred on Edward Smyth’s carved work on the steeple, restoring severely eroded angel heads, oakleaf swag ornament around the clock faces and the Ionic and Corinthian column capitals. To produce a faithful restoration, I worked from some of the undamaged sections, and researched archives and similar work by Smyth. 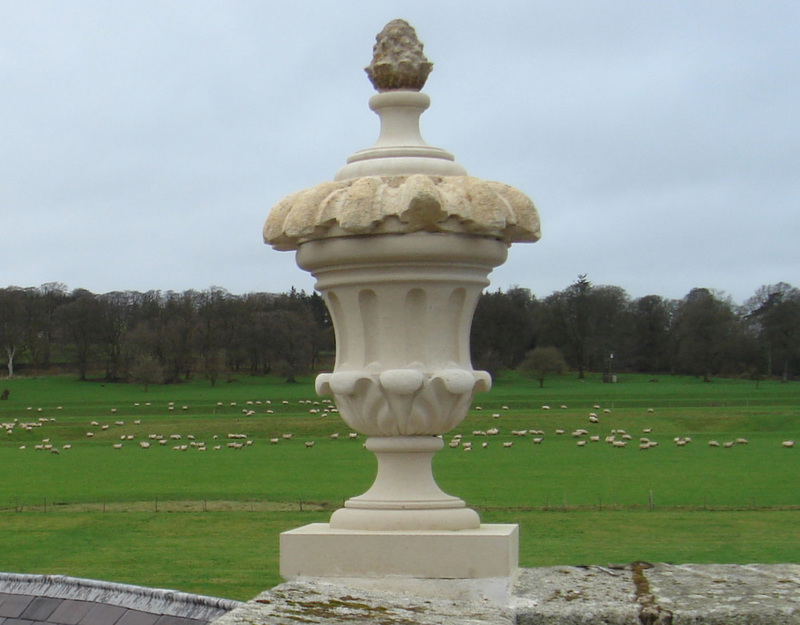 A 2004 survey of the condition of Russborough’s 69 decorative architectural urns found that many were in immediate need of conservation. A pilot scheme was initiated to assess each of the main problems anticipated over the course of the full restoration. Christopher Weeks conservation took on the main tasks with my involvement centering on the replacement and recarving of urns, including finials, acanthus leaf bowls, socles etc. 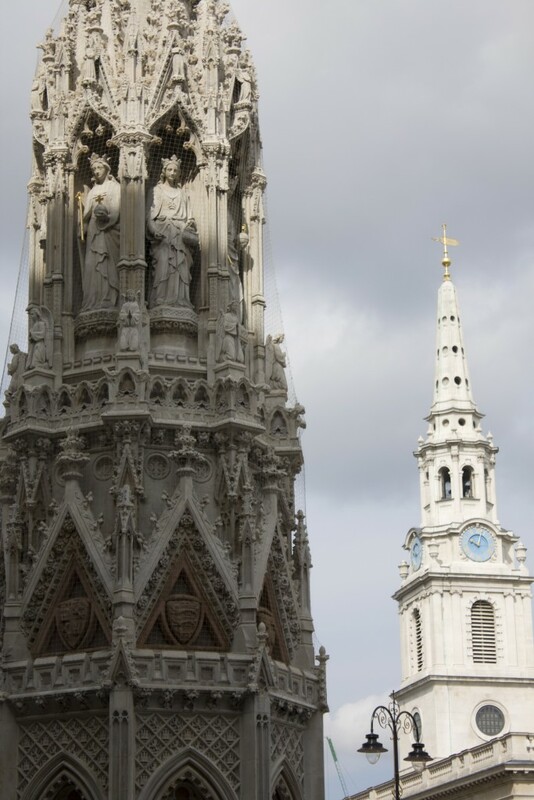 Situated high above Charing Cross, The Queen Eleanor Memorial Cross, erected in 1865, is one of the most elaborately ornamented monuments in the UK. 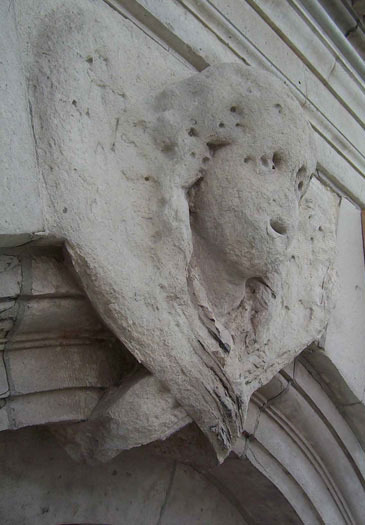 Weathered all over, its many oak-leaf crockets, pinnacles, finials, heraldic shields, figurative elements and complex masonry detail required substantial restoration. 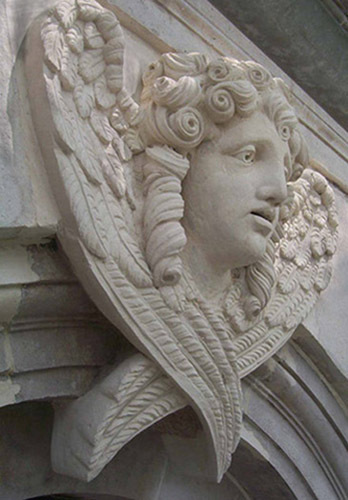 It was decided that exemplar carvings would be made of each detail, which will go on to serve as reference for future restoration work – a continuous record in stone.